Everyone has their winter favorites - here are a few of my Winter Must Haves. 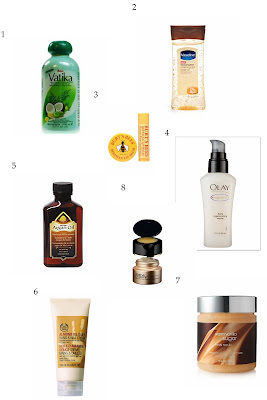 These are my tried and true favorites - with the new addition of the Argan oil. Can you believe I have lost my Burt's Bees Lip balm?